It’s time to demand more from your notebook. Function meets flexibility in the elegantly designed x360. Any way you bend it, the Spectre x360 delivers. Withfour modes, lightning-fast performance, and impressive battery life, this convertible PC has the best of all worlds and the shortcomings of none. Sculpted from a single block of aluminum using a precise computer controlled process, every curve and contour on the Spectre x360 is painstakingly refined. By blending innovative engineering with a beautiful design it’s able to seamlessly shift between cutting-edge performance and unparalleled creativity. Enjoy a seamless transition from notebook to tablet and everything in between, with an elegantly designed 360° hinge that lets this convertible PC look great in every position. This machine is unimaginably thin. Unbelievably light. Precisely engineered and exquisitely crafted, the new 33.8 cm (13.3”) HP Spectre x360 is the thinnest x360 ever made at only 13.9mm thick and weighing just 1.3 kg . Amazingly thin and light in a visually stunning metal body, this convertible PC is a masterful blend of design and performance. With four modes in a 15.9mm profile, what else compares? The sleek, precision-crafted HP Spectre Pro x360 offers the benefits of flexible 360 degree hinge movement and four operating modes. Stay productive with long battery life on an x360 business convertible with 6th Gen Intel® Core™ i7 processors and vPro™. Our engineers built a synchronized geared hinge designed to rotate fluidly yet hold firmly in each mode. To ensure long-lasting quality, they encased the mechanism in stainless steel to protect it from damage, dirt, and dust. Sturdy lightweight aluminum creates a seamless look on this incredibly thin (.61 in. / 15.4 mm.) convertible PC. Starting at just 1.45kg, easily switch between four different user modes on the 13.3-inch diagonal touch FHD or QHD touchscreen. Never slow down with long battery life that allows you to create, stay productive, and entertain without having to recharge. This machine has a Premium performance and Takes charge of your workday with Windows 10 Pro and powerful 6th Gen Intel® Core™ processors with vPro™ technology. Never fear bumps and minor spills. 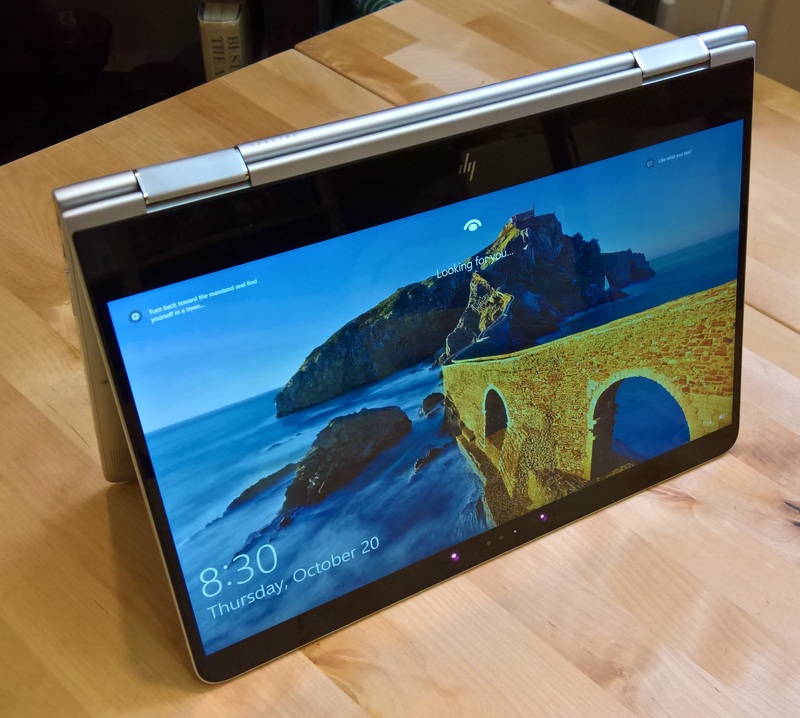 The thin and light HP Spectre x360 is designed to undergo MIL-STD 810G testing. Get through your busy day using a notebook and simply fold the 13.3-inch diagonal screen over to go between tablet, stand or tent mode and stay connected on the go. Buy the Hp Spectre x360 and have it delivered to your doorstep within 24 Hours or Same-day within Nairobi. Pay on delivery.